Realty Professionals 805-474-7040 Best Properties in Grover Beach, October 2012. 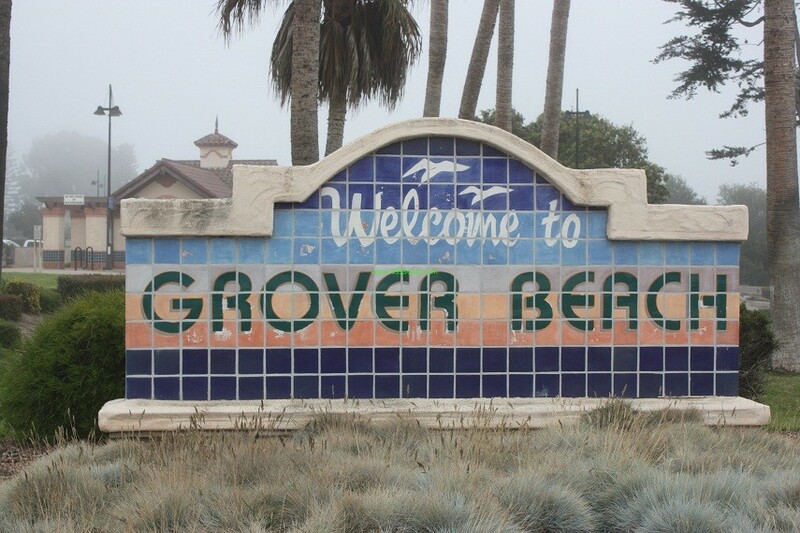 Grover Beach is a very interesting city, known for being the Biggest Bang for the Buck in Real Estate on the Central Coast! A small Beach Community of about 10,000 people is the gateway to the Pismo Beach or Oceano Dunes. Most drive through it and think it is Pismo Beach. There are great values here in Grover Beach and from the very small to the Very Large properties, residential, income and commercial opportunities! For more information call a Professional today, a Realty Professional 805-474-7040. Directions Hwy 101 to N. 4th St. Right on Parkview home is on the corner. Public Remark Panoramic Ocean Views from this completely remodeled Luxury home. Views of Whales, Golf Course, Avila Beach to Point Sal. Room for seven cars or RV parking. Two Master Bedrooms with amazing Ocean Views. Home can also accommodate single story living. Amazing roof deck with breath taking views. Upgrades include, Hot Tub, solar system, sound board and increased insulation, instant water heater, AC, stainless steel appliances, granite counter tops, natural hickory floors, heated kitchen and bath floors, sound system, outdoor shower, gated yard with low care landscaping, avocado tree, BBQ outlet on 2nd deck and roof deck and much much more. See attached list! - Atascadero, Paso Robles, Scenic Coast, San Luis Obispo, Pismo Coast, Santa Maria, Santa Ynez Valley, Lompoc Valley. All rights reserved. Copyright 2012 Rapattoni Corporation. All rights reserved. County: SLO Cross St: N. 8th St. Directions 4th St exit to Atlantic City (up the hill) left on 8th St. to Ritchie Rd. Home is located behind a private gate. Public Remark Beautiful 2788 sq. ft. home on over 1/2 an acre in desirable N. Grover Beach. This well maintained home has an updated chefs kitchen with professional appliances large master bedroom on first floor, two fireplaces, jacuzzi, large deck for entertaining, RV and additional parking, garden, mature fruit and citrus trees, private gated entry and peak of the ocean. Absolutely this home is a must see to appreciate. Just a few houses away from N. Grover Elementary School. This home is located behind a gate and cannot be seem from the street. Ideal private location. Directions 4th Street to Oceanview go West….Down to 2nd Street. Home is on the right. Enjoy!!! Public Remark Gorgeous Brand New Mediterranean Coastal style home located on quiet cul-de-sac just two blocks to the beautiful Blue Pacific Ocean, minutes to Downtown Pismo Beach and World Class Wineries. From this Exquisite Home you’ll enjoy unbelievable Forever 360 degree views from your 1200 sq.ft. Roof Deck with Built-In Outdoor Kitchen, Granite Counters, Sink and fridge!! Designer Kitchen with Professional grade high-end appliances including gas cooktop, double ovens, built-in refrigerator with knotty alder panels, self-closing drawers, Knotty alder cabinetry, walk-in pantry, Island w/vegetable sink,Granite Countertops in kitchen & baths, Built-in Entertainment Center, Custom Carpet, Travertine floors, Decks, Decks, Decks and Ocean Views to live for!! Air conditioning on 2nd floor only. Directions Fourth Street to Oceanview go West….Oceanview to 3rd Street turn right. Home is located on left hand side. Public Remark Forever 360 degree views from this Exquisite Custom Home Located on a Quiet Cul-de-Sac Street just 3 blocks to the Ocean and minutes to Downtown Pismo Beach and World Class Wineries. This Lovely Home Features Panoramic Sweeping Views of the Beautiful Blue Pacific Ocean and surrounding city lights. Designer kitchen with professional grade high-end appliances, including gas cooktop, double oven,built-in refrigerator with knotty alder panels,self-closing drawers, knotty alder cabinetry,Walk-In Pantry, Island w/sink, Granite countertops in kitchen & baths, Built-In Hutch with granite top in Formal dining room,Custom Carpet, Travertine floors in all hallways,foyer,bathrooms,kitchen and dining areas,Forced Air Heating, Air Conditioning on the second floor, Large Game Room with French doors to Covered Patio, And Don’t Forget the amazing 1100 sq.ft.Roof Deck with kitchen & BBQ area. Wrought Iron deck railings and gates, and so much more. 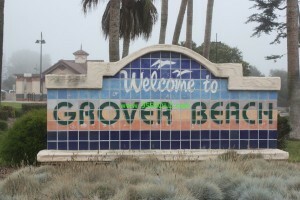 New Listings in Grover Beach!